Total Phase is pleased to partner with educational institutions and non-profit organizations targeted at developing the skill sets of future engineers. These groups use our donated tools to help ensure quality and safety during their project development processes. Check out how our tools helped them succeed with their unique and impressive projects. Seeking sponsorship and tools for your educational group? Contact us at sales@totalphase.com. Find out more about the Mechanical Advantage 6328 team that we had the opportunity in supporting. The University of Washington has been involved in a project within the CubeSat standard, which allows organizations like universities and educational institutions to be involved in affordable space projects that aid in the advancement of space exploration. Specifically, the University of Washington has been working on their own developments for NASA CubeSat, and with the help of Total Phase, has been able to make substantial progress on their launch. This CubeSat project requires many phases, including testing and performing simulations. 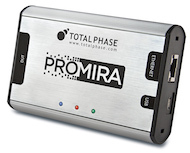 Using Total Phase tools, including the Aardvark I2C/SPI Host Adapter and the Promira Serial Platform, the university was able to perform sequences of tests to ensure the system was behaving accurately. 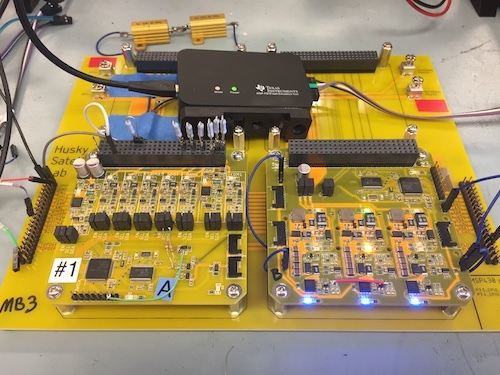 Developers for this project first performed initial sensor validation using a demo board where they were able to quickly validate the datasheet data commands. For the custom PCB sensor implementation, they needed to design their own version of a sensor breakout board. During this portion, they sometimes needed to remove or add features, and Total Phase’s hardware was used to validate that the sensors continued to worked as expected. For their microprocessor software development, they used Total Phase hardware to validate their own I2C/SPI library and drivers that they had written. In this photo, we see an engineering model of two different boards which are docked in the development motherboard. Total Phase’s hardware was used to drive the I2C data buses. 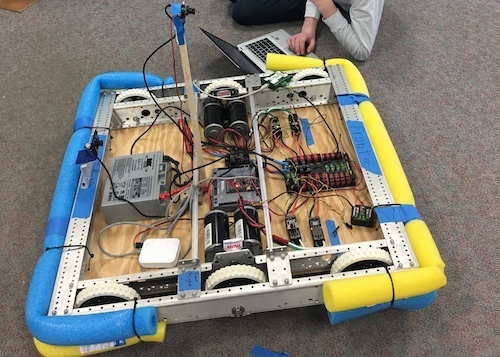 This helped them quickly determine if all the sensors were behaving properly. For both boards, pull up resistors were erroneously left out of the design, and Total Phase’s tools helped determine this root cause. 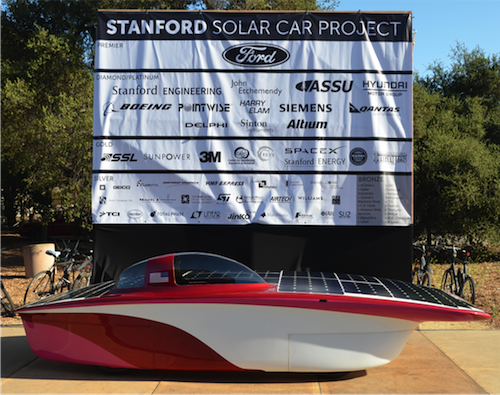 The Stanford Solar Car Project is comprised of a group of undergraduate students who design, build, and race solar powered racecars in the World Solar Challenge. Founded in 1989, the Stanford Solar Car Project is an entirely student-run, non-profit organization fueled by its members’ passion for environmentally sustainable technology. The project provides a unique opportunity for Stanford University students to gain valuable hands-on engineering and business experience while raising community awareness of clean energy vehicles. The team generally operates on a two-year design and build cycle and then enters the finished car in a cross-continental solar race. Total Phase proudly supported the 2017 Stanford Solar Car Project as a Silver Sponsor. The 2017 car project – Sundae – was entered in the 2017 Bridgestone World Solar Challenge, an 1,800-mile race across the Australian Outback. 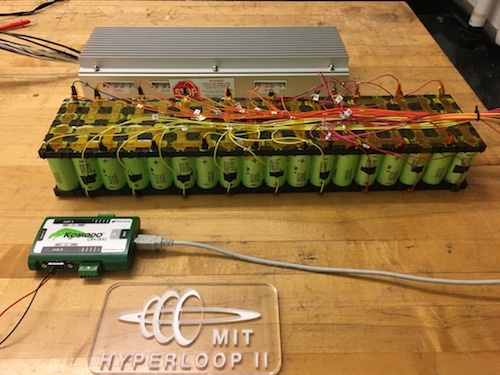 MIT started a new Hyperloop team in 2019, named MIT Hyperloop II, to design and build an air levitated pod that can achieve 200+ mph for the SpaceX-Hyperloop Competition IV. Their team consists of about 30 engineers with disciplines ranging from mechanical, aerospace, electrical, software, systems, and business. The Hyperloop white paper release in 2013 brought much publicity and focus to Hyperloop development. 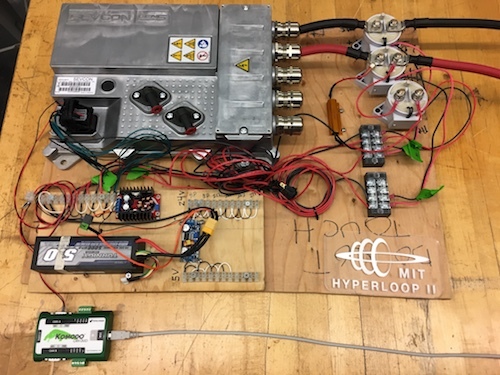 The previous MIT Hyperloop team won Best Overall Design, Safety & Reliability, and Innovation Awards at the SpaceX-Hyperloop Competition I in 2016 for their magnetically levitated vehicle. With the SpaceX-Hyperloop competition reaching its 4th iteration, developing a new pod in a shorter timeline has been a challenge, but they have now made it to the Top 20 Finalists to compete at SpaceX’s mile-long vacuum tube in Summer 2019. 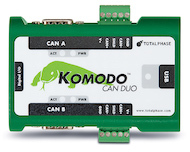 Total Phase's Komodo CAN Duo Interface has been aiding the team in debugging the vehicle propulsion’s controller and high voltage battery management system that interface with the vehicle control unit over CAN bus as can be seen in the pictures below. You can find out more about the MIT Hyperloop II team that we had the opportunity in supporting here.